This year, we will provide 650,000 meals to 2,300 critically ill individuals and their families. 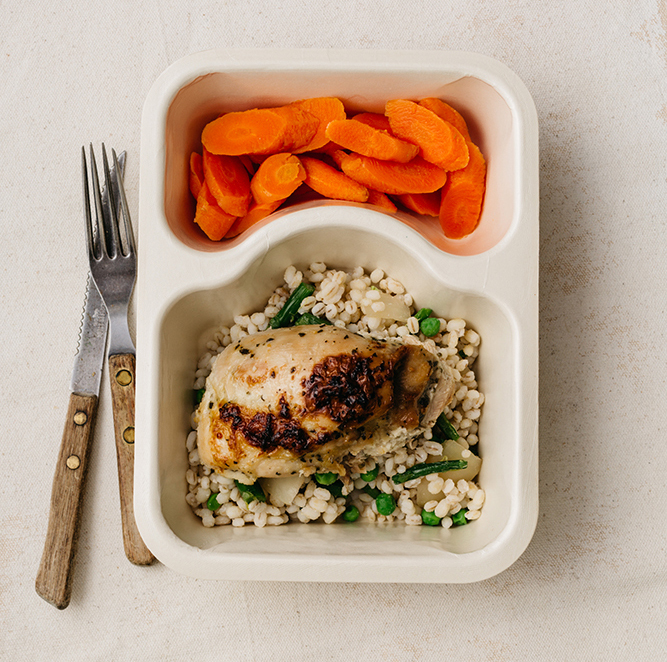 Our meals are made from scratch and medically tailored, meeting the medical and nutritional needs of our clients with HIV/AIDS, cancer, kidney disease, diabetes, and other life-threatening illnesses. Community Servings’ Registered Dietitian Nutritionists work closely with our clients to develop individualized nutrition care plans to help them manage medical conditions and provide guidance for managing nutrition-related medication side effects and weight loss or gain. In addition, we offer nutrition education workshops throughout the year to benefit the community. Our workshops teach people how to maintain and improve health through food choices and techniques to prepare food at home. 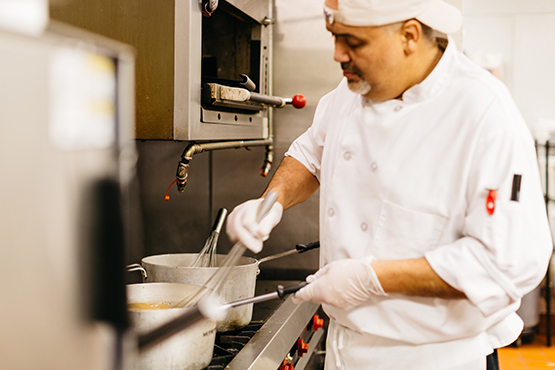 The Teaching Kitchen is a 12-week job-training program for people interested in careers in the food service industry who face barriers to full-time employment. 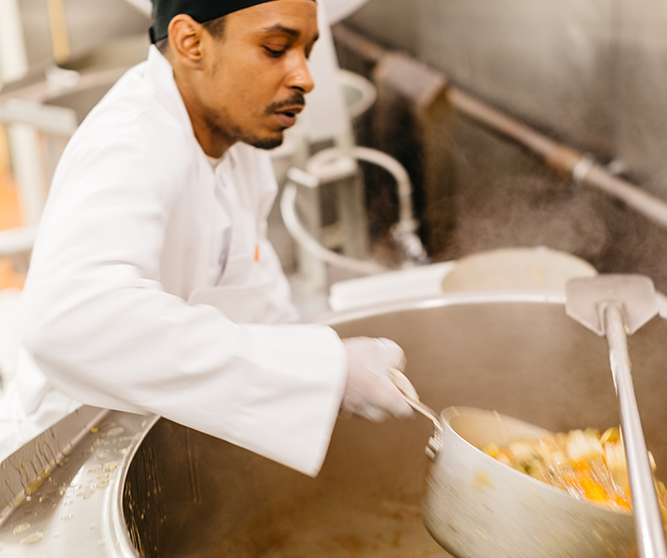 As they learn food preparation and cooking techniques, trainees work alongside our culinary team to help us prepare the meals we deliver to our clients each day, giving their job-training experience purpose and connecting them to the communities in which they live. 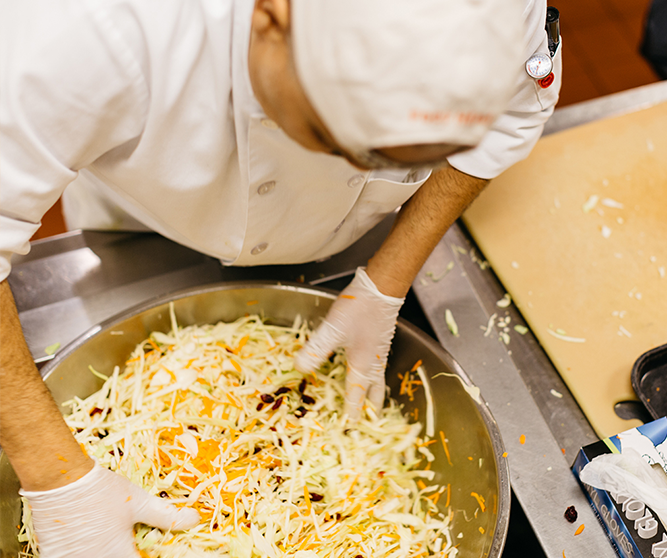 As one of the largest volunteer programs in the area, we welcome an average of 600 volunteers per month to work in our kitchen, deliver meals, and help with our fundraising efforts. More than 53,000 volunteer hours are donated each year. Recognizing that local foods are generally healthier and more appetizing, our local foods initiative benefits both our sick clients and neighbors in Jamaica Plain. 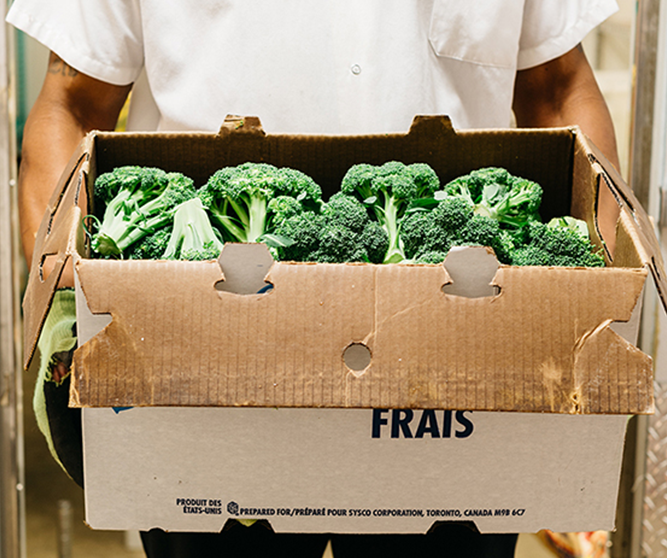 We are committed to increasing access to healthy, local foods for our clients while also working to decrease food waste. Community Servings is also a local pick-up site for local produce and local fish through a CSA and CSF. We are privileged to have the generous support of the community and we take pride in our corporate, foundation, and community partners who make our work possible. Thank you! Curious about what we’re up to? Check out our latest newsletter! Upcoming events, recipes, recent grants and news, nutrition tips, client stories, and more. 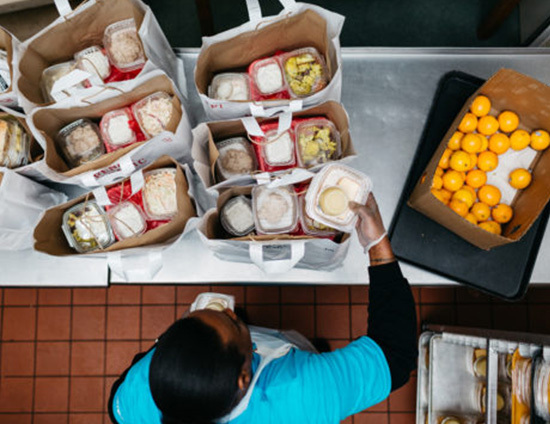 Community Servings delivers meals to people who may be too sick to prepare their own. WBZ-TV's David Wade reports.